The DA does not suspect foul play on the part of Sanral - yet. Three chunks of paperwork are missing from the 5 000-plus page stack Sanral had to submit to the DA as per the Promotion of Access to Information Act. The failure of the SA National Roads Agency (Sanral) to submit information requested by the Democratic Alliance (DA) in full has not raised the opposition party's suspicion - yet. This is according to DA shadow minister of transport Ian Ollis, who yesterday noted that - while he had received the pile of documentation requested under the Promotion of Access to Information Act (PAIA) in June - three sections of financial paperwork are not included. 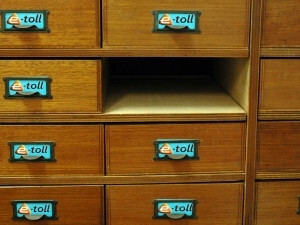 Sanral's documentation on e-tolling in Gauteng - 5 848 pages of agreements pertaining to e-toll contracts - was delivered to the DA over the weekend, two months after the party applied for access to the road agency's e-toll files. Seventeen lever-arch folders with tender documents (24 items), addendums (24 items), clarifications (eights), contract documents (four items), and the Electronic Toll Collections (ETC) offer (two items) arrived on the DA's doorstep over the weekend. According to Ollis, on inspection of the documents, the DA noted three items from the 65-item contract tender register had been omitted - namely a financial memorandum of tender documentation and two items from the ETC submission. "The most important piece of documentation that is missing relates to the funding of the e-toll system. This piece is of particular concern for me, because if we don't get this, it means part of the deal is being hidden from us. "The second part - which may or may not be important - [comprises] two sections relating to contract detail." Ollis says, however, the DA does not at this stage suspect foul play on the part of the state-owned roads agency. "[Sanral] was under the impression they gave us the full set of information, so I don't foresee any problems in getting the missing pieces out of them. At this stage, it seems to be an admin problem rather than a malicious act. But we will see." Ollis this morning issued a letter to Sanral's deputy information officer, Haniel Motaung, requesting the agency honour its agreement to submit in full the information requested in line with the DA's PAIA application. "I trust that the outstanding documents will be delivered without delay or additional costs." In the meantime, he says, the DA will study the documents received, with particular focus on Sanral's monthly obligation to the ETC, the structuring of collection fees, how Sanral intends to prosecute e-toll transgressors, as well as an opt-out clause for e-tolling in Gauteng. At the time of the DA's PAIA application, Ollis said South Africans had the right to know what the contractual obligations of Sanral are towards ETC and its shareholder Kapsch TrafficCom. The DA's PAIA request followed controversy over the amount of money flowing into Austrian-based Kapsch, essentially from local taxpayers' pockets. The hue and cry followed an announcement by the toll system company that its loss-making days were soon to be over, thanks to money it expected from e-tolling in SA. Sanral defended itself, labelling the public outcry a political bandwagon. The agency noted the figure Kapsch cited it would get in from SA's e-tolls (EUR50 million, or about R675 million per year) includes operational costs and the purchasing of the system hardware and software. Spokesperson for Sanral, Vusi Mona, said the tender had been awarded to the ETC after it offered a competitive tender that was over R2 billion lower than a subsequent offer. Sanral had not responded to queries around the missing documentation by the time of publication.